Paula Figgatt and Zoe Berg, respectively the owner and lead instructor at Birdseed Yoga, make clear what they want to grow in Waynesboro: “If you don’t have peace in your life, you don’t have anything,” says Paula. 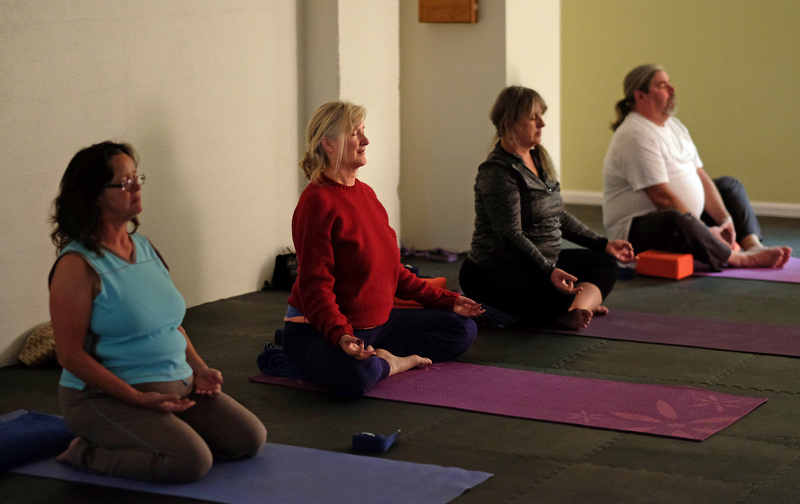 Paula Figgatt teaches a community yoga class at Birdseed Yoga, Waynesboro, Va. (Photo by Norm Shafer). A community yoga class at Birdseed Yoga, Waynesboro, Va. (Photo by Norm Shafer). The studio’s pledge to welcome every body (regardless of shape, size, fitness, or income) means that they are often designing classes to fit the community. “I’ve planned entire classes, and then completely scrapped them because when I walked in, I knew we needed a different approach,” says Paula. Working with many different community niches, Zoe tailors yoga classes to the particular needs of athletes, and Paula is sharing her passion for hiking and backpacking by offering her first outdoor yoga trip this November. 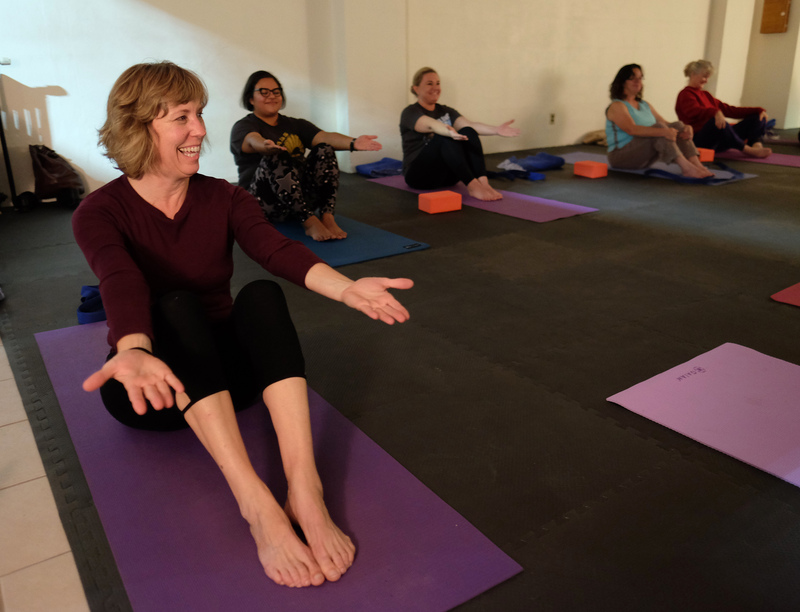 Paula Figgatt teaches a yoga class at Birdseed Yoga, Waynesboro, Va. (Photo by Norm Shafer). Today, yoga classes and teaching opportunities seem to spring up wherever Paula goes. The interview closes in time for her to lead a lunchtime yoga class for UVA faculty, several doors down from her day-job office. Turning to her community for support, inspiration, and participation is a consistent theme in Paula’s narrative. She offers advice to fellow entrepreneurs to connect with and value their communities, while recounting the many area nonprofits that Birdseed Yoga has chosen to donate proceeds to on the first day of each month. “At the end of the day, I want to pay the rent,” says Paula. “And on the first of each month, we want to give back to the community. 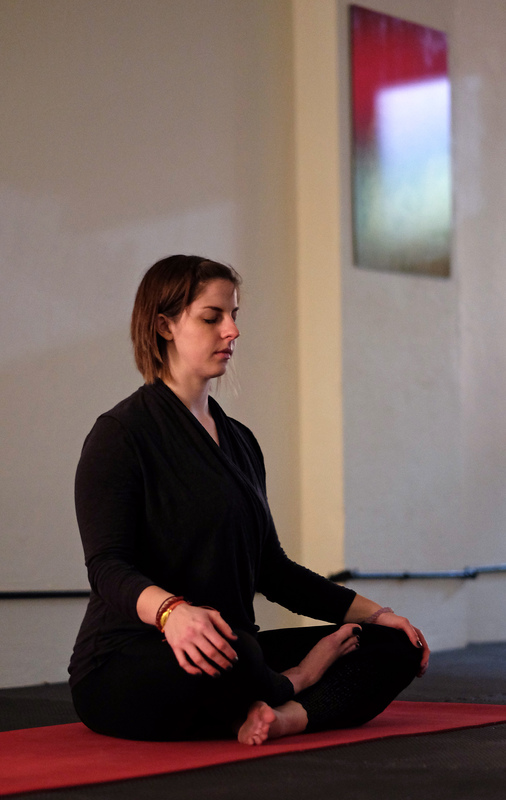 Zoe Berg teaches a power Vinyasa yoga class at Birdseed Yoga, Waynesboro, Va. (Photo by Norm Shafer). Birdseed Yoga offers beginner yoga classes, meditation, yoga for kids, deep stretch, as well as more advanced courses such as Power Vinyasa and Vinyasa Flow. You can read more about their instructors, class schedules, and community outreach at birdseedyoga.com. Plus, check back often at GrowWaynesboro.com for ongoing updates on the new entrepreneurs joining Paula and Zoe in growing a thriving (and peaceful) local economy. Birdseed is a true gem that is glistening in downtown Waynesboro!